It is now possible to use Google Webmaster tools with your Foliokit website. This tool provided by Google allows you to see what keywords have lead users to your site as well as many other useful information. 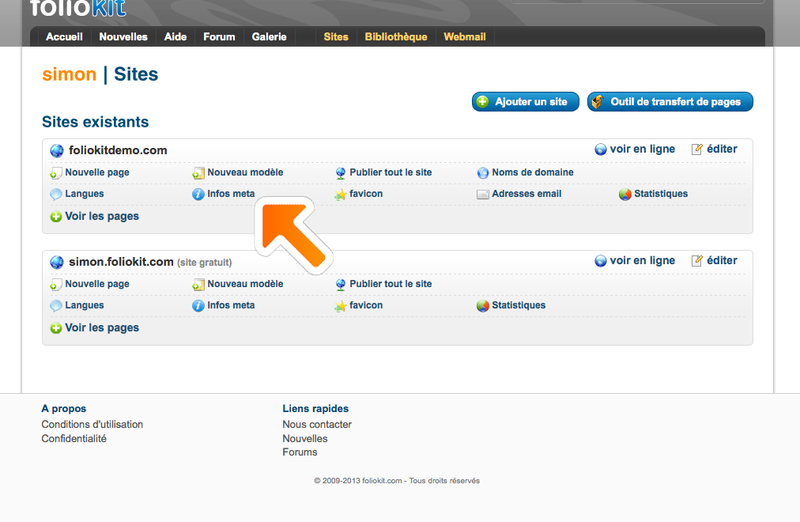 To enable the Webmaster Tools, please visit the sites management page and click on "Meta Info" for the website you want. You will find a block at the bottom of the page allowing you to enter a code for the HTML tag verification.